Take this guided tour to learn how Salesforce Inbox helps you sell smarter. 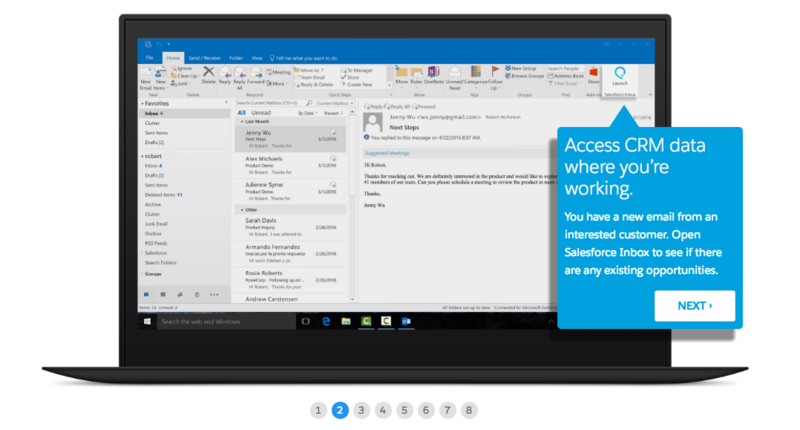 Salesforce Inbox brings the power of the world's #1 CRM to Outlook. With built-in data intelligence, close more deals by automating administrative tasks and keep your pipeline up to date in real time. Sign up for a quick guided tour of Salesforce Inbox.